Every year the Fort Scott Community College commissions Captured Images to photograph the football players and create a football poster design for both Offense and Defense. 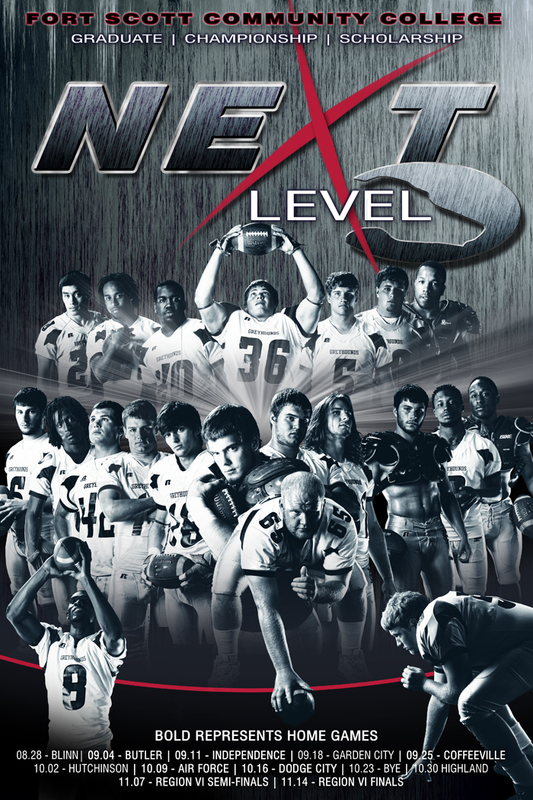 This year the theme is “NEXT Level.” It’s always exciting to see what the theme will be and this year came at the perfect time. I was fully inspired right away and proceeded to create a poster design that would kick some major booty. I’m particularly proud of this year’s design. It might just be my favorites of the three football posters I’ve designed in the past few years. There may be some changes as these are the first draft versions of the posters, but I was too impatient to show them off. DEFENSE VERSION: Also loosely inspired by X-Men. This was actually the first of the two I completed. 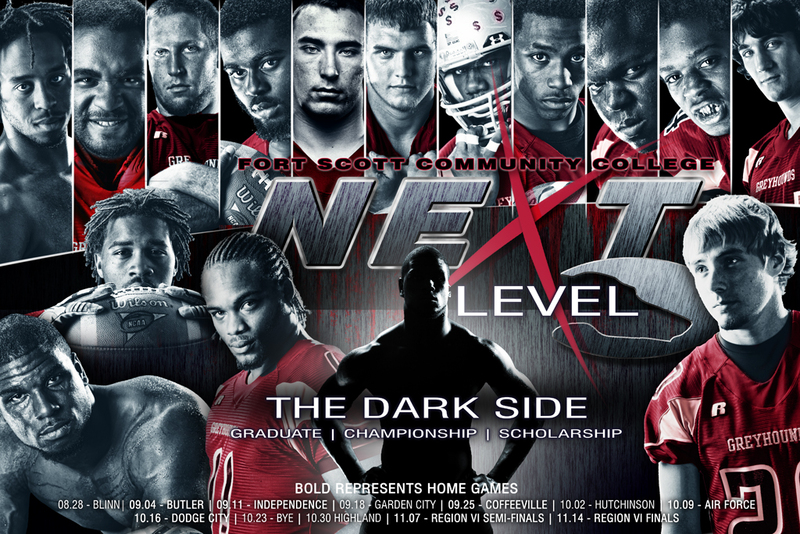 OFFENSE VERSION: Loosely inspired by an “X-Men” movie poster. I think it’s pretty intimidating. So there you have it! I might repost this if we have any major changes. I really am going to post more of my design work in the future. No, really.